Entries with tag tep . The international iceberg patrol service set up after the sinking of the Titanic is now able to track drifting ice from orbit more swiftly through ESA-backed cloud computing. 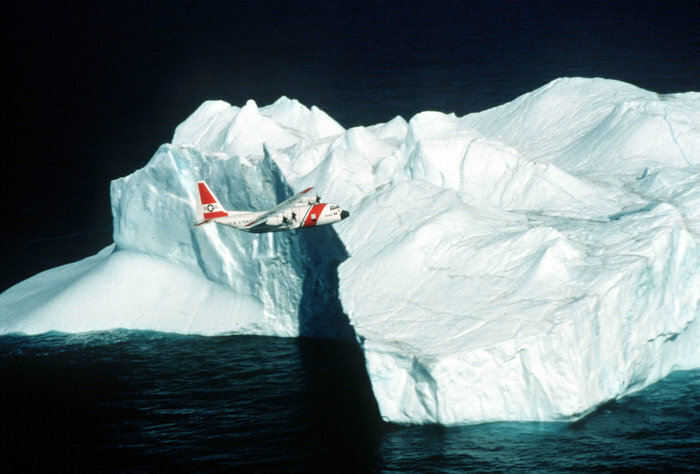 The icebergs drifting in transatlantic shipping lines typically break off from the Greenland ice sheet before being carried into Baffin Bay. From there, they typically either become grounded or continue southwards. Most are gradually weathered away, but some can endure dangerously far south. On 15 April 1912 the most infamous iceberg in history collided with the Titanic just south of the tail of Newfoundland’s Grand Banks. The loss of life was enormous, with more than 1500 passengers and crew perishing. The PTEP is one of six ‘Thematic Exploitation Platforms’ (TEPs)' being developed by ESA in the frame of the Earth Observation ground segment evolution strategy. The TEPs aim at fostering the exploitation of EO data by providing an online environment for users to access information, ICT resources, and tools. The EGU General Assembly 2016 was held in Vienna from 17 to 22 April with great success, with 4,863 oral presentations given, 10,320 posters, 947 PICO sessions and a total of 13,650 scientists from 109 countries taking part. The Geohazards Exploitation Platform (GEP) featured in the interesting discussions of the Geoscience community, being subject of five presentations and a training session during the first three days. On Monday, the new functions built into the GEP to support results publication ad sharing were presented to the GEO Supersites community. All appreciated the clear contribution the GEP will make to enable Open Science for the Geoscience community, a key element of the GEO Supersite initiative. A preview of the new InSAR Browse Services developed by German Aerospace Center (DLR) in the context of their GEP pilot (more information on this service will follow on the GEP blog). A continental scale map showing 12-days Interferometric Coherence of almost all of Europe, processed by scientists of CNR-IREA. On Tuesday, examples of the SBAS processing chain and time series analysis were shown, with availability of per-pixel time series over Campi Flegrei, the Gargano area and Mount Etna. The second presentation focused on the integration of the SBAS algorithm into processing services through the GEP, and described how the GEP makes it possible to realize a wide spectrum of service modes, like an on-demand mode and a surveillance mode systematically updated at each new acquisition. On Wednesday, the GEP “Optical Image Correlation” pilot project was presented. The project is led by University of Strasbourg and the team is implementing a processing chain on the GEP cloud-based (Hadoop, MapReduce) environment, which will enable analysis of surface displacements at local to regional scale (10-1000 km2), targeting in particular co-seismic displacement and slow-moving landslides. A training course for the GEP SBAS-DInSAR web tool was held. The course provided a short overview on the DInSAR processing methods allowing retrieving mean surface deformation maps and displacement time series, with a specific focus on the SBAS-DInSAR technique. Secondly, the GEP and G-POD environments were introduced and the P-SBAS web tool presented. Finally, the advanced features as well as some main results achieved via the web tool were shown. In all of these presentations, we saw geoscience research and IT coming together in the GEP as geoscientists manage to introduce new concepts coming from the evolving IT world into their algorithms, leading to reduced execution times and new processing scales that allow for previously unfeasible analyses. This development is being warmly received. For instance, when the current scenario of growing satellite data was discussed at the “Integrated Research Infrastructures and Services in Geosciences” session in presence of representatives from the European Plate Observing System (EPOS), the TEP model was presented as an answer to manage the concerned challenges. The general consensus among the EGU audience was that we are living interesting times, in which the needs of the research infrastructures are shaping the evolution of the ICT and governance is being negotiated by user communities in view of solutions that are sustainable in the long term. Several ESA Geohazards Exploitation Platform (GEP) early adopters applying for the scenario 2 ‘New EO Service Development’ are currently supported for the integration of their data processing chain on the GEP Cloud environment. The resulting processor integration is then made available from the GEP Portal to users (upon sign-in credentials for https://geohazards-tep.eo.esa.int/). On the Portal, authenticated users can select data over an area of interest, set processing parameters, run a processing job and share their results on the platform. Based on this application template, under src/main/app-resources/myapp/run, developers of new Processing applications can now retrieve from the Platform’s catalogue the Sentinel-1 products together with the Precise Orbit Ephemerides data (or POD). From a running workflow, a function is typically getting the start/end time of the current Sentinel-1 product to be processed, and an OpenSearch query is then performing the retrieval (using the “enclosure” parameter, that provides with the file download location) of the corresponding PODs. A last step is downloading the orbital data from the enclosure reference, and storing it on the proper file system location, in order to be ingested by the SAR processing code embedded in the new application. In average, ESA releases the Sentinel-1 POD Precise Orbit Ephemerides 20 days after the related acquisition. If you want to process Sentinel-1 products acquired in near-real time, you can also use the orbital data enclosed within the Sentinel-1 product. The main goal of the Urban Thematic Exploitation Platform (TEP) is the implementation of an instrument that helps addressing key research questions and societal challenges arising from the phenomenon of global urbanization. Therefore, the Urban TEP represents a web-based platform that allows users to effectively utilize Earth Observation (EO) imagery and existing auxiliary data (e.g., geo-data, statistics) to measure and assess key properties of the urban environment and monitor the past and future spatiotemporal development of settlements. Key elements of the Urban TEP are the provision of easy and high performance access to EO data streams and archived data, multi-mission and multi-source data management and processing infrastructures, modular pre-processing and analysis procedures (value-adding processors), user-oriented functionalities for product and service development, validation and standardization as well as exchange and distribution of ideas, methods and thematic layers. To maximize the relevance and societal benefit of the Urban TEP, the initiative includes a comprehensive concept for active expert knowledge and user community integration. Hence, the Urban TEP core consortium – consisting of 5 partners - is supported by a network 6 key user communities including the group of scientists conducting the Group on Earth Observation (GEO - Task SB-04 Global Urban Observation and Information), the World Bank Group, the European Environment Agency (EEA), DG Regio of the European Commission, the International Society of City and Regional Planners (ISOCARP) and the City of Prague. In addition, 7 associated consultancy partners will bring in their expertise and competences in key sectors relevant for the Urban TEP development, implementation and sustainability.